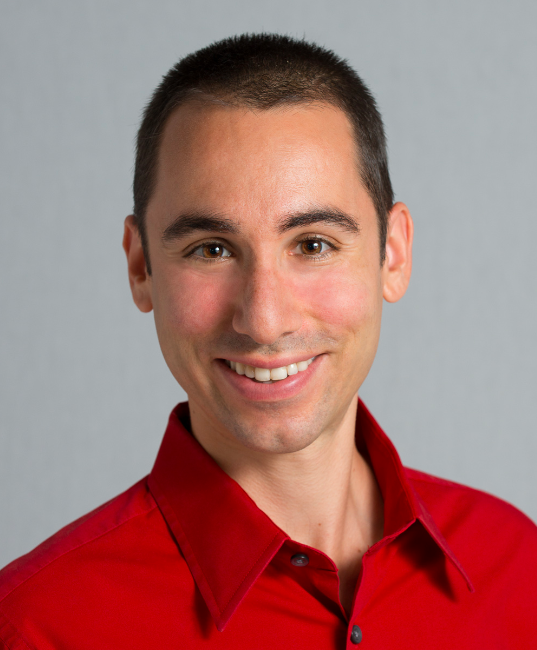 This is a guest post by Blake Moore, an LSAT tutor in Gainesville, FL. Blake scored a 175 on the LSAT in September 2014 before founding his tutoring company, Gainesville LSAT. Logic games used to be predictable. For years it seemed like the LSAT was just cycling through a few different game types. LSAT students knew to master grouping games, linear games, and hybrid games. Any game prep other than that was probably overkill. Then in February 2014, the unthinkable happened. Though the February 2014 test was never published, students reported that the test featured a circle game. Circle games had not been featured in published PrepTests since 2003 (PrepTest 41), and that was the last of only three circle games to ever appear in published LSAT PrepTests. To make matters even worse, the February 2014 circle game apparently involved multiple tiers. This was a game unlike any other that had ever been published. Then in June 2014, the same thing happened again with a pattern game. Before the June 2014 test, no pattern game had appeared in published LSAC materials since 1997 (PrepTest 23). But that didn’t stop LSAC from featuring it again, and many test-takers walked away defeated because they only prepared for the predictable game types. And just when LSAT students thought the madness was over, the December 2015 LSAT (PrepTest 77) included a pattern game. Logic games are no longer predictable. Preparing only for the three most common game types is taking a big risk, and that’s a risk that many students will not tolerate. So what is an LSAT student to do in this situation? You need to be prepared for anything the LSAT might throw at you, but LSAC has published very few of these rare games. How are my students supposed to drill circle games when a total of exactly three circle games is available? My answer (as an LSAT tutor) was to write my own LSAT-style logic games for my students. By writing the games myself, I could make circle games, pattern games, mapping games, or any other game I imagined. My students were no longer constrained by the published PrepTests; they could prepare for even the rarest of logic games. Thus, I wrote over 40 logic games for my students to use in their prep. I have written 2-tiered circle games, insanely difficult pattern games, unbalanced linear games, and some strange hybrids (like a circle game with in/out elements). By writing these games, I gained new into insights into how logic games work. And I learned a few lessons about how to approach the games in general. The first time I encountered a logic game, I thought it would be easy. I have always been a puzzle guy, and the LSAT games were kind of like a puzzle. So after reading through the rules, I attacked the questions. And I missed 4 of the 6 questions in that game. I couldn’t believe how poorly I did. I understood the logic game scenario; I understood each rule in the game; and I understood what the questions asked me. But what I didn’t understand was how important it was to make logical inferences. When writing a logic game, you obviously need to write a set of questions. This is a harder task than you might think. Good logic game questions don’t ask you about the obvious; good questions require you to use multiple rules at once (or maybe even all of the rules). This process of combining rules to learn something new is called “making a logical inference.” And logic game questions typically require you to make some kind of logical inference. • B must come before E.
• E is in position 2. By combining these rules, we now know that B must be in position 1. This is a simple logical inference. The rules do not tell us directly that B is in position 1, but we know it just the same because we took the time to think about the rules of the game. This is why the best logic game strategy is to focus on the rules. Students often want to rush to the questions; after all, you have less than nine minutes on average for each game! But moving quickly to the questions is almost always a mistake. The questions are meant to be confusing and difficult; the rules are where all the answers are. Before you ever look at a single question, spend some time working with the rules. Think about how one rule might impact another. Combine rules together; examine the variables that are mentioned multiple times. If you find the inferences, the questions have nothing left to trick you with. The hardest games are often the easiest. We all know how awful it feels to come across a particularly difficult logic game. The experience is often frustrating and results in points lost on a PrepTest. Naturally, I wrote a few of these crazy hard games for my students. I get the same response almost every time I give these games to my students: defeat. They give the games a half-effort and wait for me to explain them to them. To be clear, my students are completely capable of solving these games; some of them are downright brilliant. But difficult games intimidate people. When we see a logic game that looks impossible, we immediately want to run away from it. But what is it that makes these games so difficult? This is something I needed to determine if I was to write the games myself. What is it exactly that makes a game look impossible? I worked through some of the most difficult games offered by the LSAT, and I found that in most cases the hard games were intimidating because of one or two difficult inferences. One or two inferences may not sound like a lot, but even a single missed inference can ruin a game if most of the questions require you to make that inference. And when you encounter question after question that you don’t understand how to solve, the game starts to look impossible. And that’s when you get the urge to throw in the towel. But the difficult games don’t have to be difficult. In fact, these games tend to be downright easy if you can make those key inferences. Once you have the key, walking through a locked door is not much of a challenge. Getting that key is what is so daunting. Often, this is because the inference requires just a bit more thought than you expect. When my students are stumped by these games, I’ll point back to their initial set-up and say “What else can you infer?” Most of the time, that question leads the student to find the key inference and solve the game. Note that I don’t tell my students the inference; I only tell them that there’s more to find. But that is enough to give my students the confidence they need. The “impossible” game can become easy if you just look a bit harder at the rules. So keep looking; you might just find that you are capable of more you think. There’s more than one way to write a rule. • If A is not in position 1, then B is in position 1. • Either A or B is in position 1. 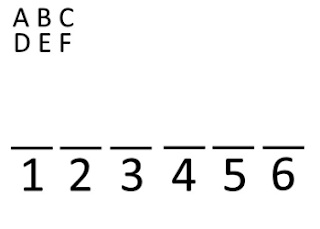 • B is in position 1 unless A is in position 1. This is the exact same rule written in three different ways. Logically speaking, these three rules are identical. But how a rule is presented can make a difference in how difficult a logic game is to solve. • If Bernice goes to Mexico, then Eunice goes to France. • If Eunice goes to France, then Samuel does not go to Costa Rica. • If Eunice does not go to France, then Bernice does not go to Mexico. • Only if Samuel travels to a destination other than Costa Rica does Eunice go to France. These rules are logically identical to the previous ones, but the connection between the rules is now less clear. And the inference gained by combining the rules is now that much more difficult to obtain. To overcome this obstacle, try the following mental exercise: Pick a rule at random from a logic game and think of multiple different ways to write the rule. Make it a challenge; how different from the original writing can you get? After going through this exercise a few times, you’ll likely find that it’s easier to make quick inferences when working through the games.